The Irish started slowly and were lucky not to be behind to an early Lithuanian header but recovered well and started to take control of the game without creating many chances until Adrian Rafferty got off the end of an Aidan Friel cross to put the Irish one in front at the break without having found their best form. The Irish came out a much better team in the second half and began putting the Lithuanians under pressure and missed some good opportunities before Lee Delaney got on the end of a Ricky Fox freekick to volley Ireland into a 2-0 lead. It looked like Ireland would have to miss out on the fourth goal they desperately wanted to equal France's score against the Lithuanians until the 92nd minute when substitute Tony Smith got in behind to the Defence to slot past the excellent Lithuanian keeper. Ireland go into Friday's match knowing a win or a draw will guarantee qualification for the competition in China in October 2019. 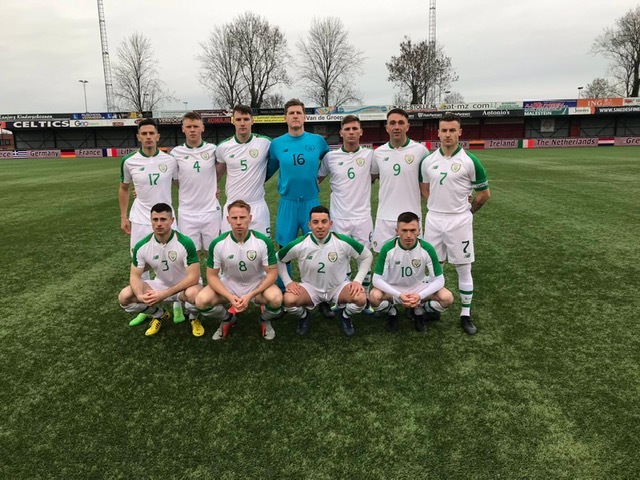 The Irish Defence Forces team defeated Lithuania 4 -0 in the Netherlands to put themselves joint top of the group going into Friday&#039;s showdown with France in the CISM World Military Games qualifiers.